Dead or Alive 6 has just been announced by Koei Tecmo and Team Ninja, and is set to launch for multiple platforms in early 2019. Dead or Alive 6 is all set to launch in "early 2019". Koei Tecmo and Team Ninja are developing the upcoming fighter game. Announced via the teaser trailer just below, Dead or Alive 6 will be launching for the PC, PS4 and the Xbox One early next year. In the reveal trailer, the action takes place in a caged backstreet arena and a glitzy large venue arena, with characters going head to head with one another in the rings. IGN recently went hands-on with the upcoming brawler, and Dead or Alive 6 producer and director Yohei Shimbori emphasised that there haven't been any changes to how the game fundamentally plays, saying the team "didn’t want to change the core mechanics", mainly because "It can feel disappointing if a game you used to enjoy no longer feels familiar". Shimbori also stated that Dead or Alive 6 will be running in 4K when it launches on the PC, PS4, and Xbox One, presumably only on the Pro and One X versions of the two consoles. Team Ninja is also putting more effort into the single-player and offline modes for Dead and Alive 6, so it can be enjoyed both online and offline. A new feature for the fighting game is that ninja characters like Hayabusa and Hayate can now have their masks smashed off, revealing their full faces underneath. 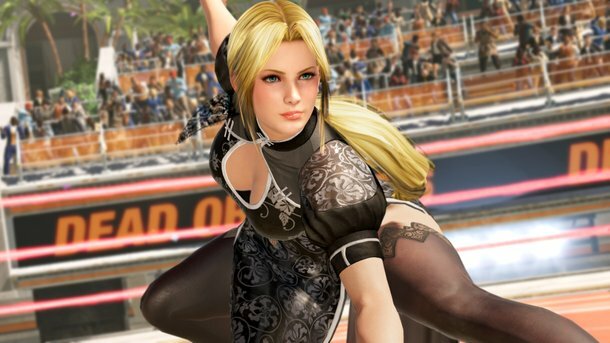 Dead or Alive 5: Last Round is playable at the EVO tournament later this year, and Team Ninja is reportedly considering making Dead or Alive 6 playable at the event as well. Dead or Alive 6 will be launching for the PC, PS4, and Xbox One platforms in early 2019. There should be more information releasing about the game over the rest of E3 2018, so make sure to keep an eye on USgamer for more information whenever it breaks. Tagged with E3 2018,	News. There's no reason major titles should be bricking consoles.